User stories are used to describe the functionality delivered in a product or system. Planning Poker is a common technique for sizing user stories, but it can sometimes be challenging. It can be time consuming and teams can get bogged down in unnecessary discussion. There is a technique called Silent Grouping that can be used to compliment Planning Poker, allowing large sets of user stories to be sized in minutes. Silent Grouping has several advantages. It is fast, which in turn leads to significant time and cost savings. Silent Grouping is a facilitation technique for getting people to group related items without talking. Jean Tabaka has a summary of the technique in her book ‘Collaboration Explained’ as part of a set of techniques used to help teams process large amounts of information. Jean’s variation of the technique is described in the context of conducting a retrospective, but it is equally applicable to grouping user stories. It is a good idea to prepare a Parking Lot for any user stories whose grouping cannot be agreed. I usually put this just beside the Grouping board. Choose and agree a mid-size user story for starting off. This is the bench mark against which the first few user stories will be compared. After that, triangulation will take over and people will size the current user story against all currently sized user stories. If the team is new to Silent Grouping, the facilitator explains the technique as part of the preparation, and answers any questions. Team members take turns, one at a time, to place one user story on the board. The goal in this round is to get all the user stories on the board, and hence get an initial size estimate for all user stories. I find that simply forming a line is the easiest way to run this part of the exercise. As each person takes their turn, they rejoin the back of the line. The team stands around the board. At this point all user stories are on the board. Team members take turns stepping forward and moving one user story at a time. The goal in this round is to get to team consensus on the size of all the user stories. There can be contention in this round. A user story can get moved repeatedly, e.g., one team member can move a user story, e.g., from a 5 to an 8, and another team member can move it back to a 5. The team has been instructed to consider why the user story might have been moved. Very often, this act of observation and conscious consideration is enough to resolve the disagreement, and the parties will agree on a size without any verbal discussion. It can happen that two or more people will move a user story back and forth between two (or more) columns, and nobody is prepared to compromise. This is generally a signal that more discussion is required for this specific user story. As the facilitator, when you observe this interaction just remove the user story form the board and place it in the Parking Lot that you prepared earlier. In practice I have found that this tends to occur relatively rarely. Risks to watch out for in this round include people not participating. This can take a number of forms. They can stand back and just observe, and not size anything after Round 1. They can become disengaged and not observe the proceedings at all. Both of these can be signs of underlying issues. This is where the skill and experience of the facilitator is important, first in recognizing the symptoms, and then dealing with it. The facilitator facilitates a short discussion between the team to gauge the level of confidence in the sizes. The Fist of Five is a good technique to use here. It quickly gives a sense for how confident the team is in the sizing that they just performed. I used to use a ‘?’ column to group user stories that people felt could not be sized because there were too many unknowns. Planning Poker has a ‘?’ card too. However, I found that this provided too easy a way out. I want to provide a situation where teams are forced to either make a decision or openly disagree with each other and question the size of the user story. Decide what’s appropriate for you, but these days I prefer to not use the ‘?’ column. It is very fast. You can size large sets of user stories in minutes. It is scalable. I have used this technique with up to 8 Scrum Teams (55 people) in parallel, to size 677 user stories in 28 minutes. It very quickly surfaces any unknowns or areas of disagreement within the team. It is inclusive. Everyone gets the opportunity to comment on all user stories. It works well as a compliment to Planning Poker. You can size initial benchmark user stories using Planning Poker. For any user stories that don’t gain consensus during Silent Grouping, you can size those with Planning Poker. Because the Silent Grouping technique explicitly disallows talking, it is easier for more introverted team members to exert their influence. Conversely, it is harder for more dominant team members to exert their influence just by force of argument or discussion – something that can happen in Planning Poker. If there are language barriers in your team, e.g., if you work with global teams who do not share a common first language ( a very common scenario these days), then Silent Grouping is a good leveler. You can sometimes observe a noticeable delay among Planning Poker players as they wait for others to show their hand first. With Silent Grouping, particularly in Round 1, people must make a decision themselves without influence from others. Silent Grouping applies the wisdom of the entire team to quickly size large sets of user stories. Just like in James Surowiecki’s book, the team will be familiar with the problem domain already. E.g., in one of the early examples in Surowiecki’s book, the people guessing the weight of the cow were all experienced farmers. If it is a truly new problem domain for the team then they need to spend some time before sizing just getting familiar with the problem domain. I had prepared some slides for my session at the XP2011 Conference, but as it turned out, I did not use the slides. Instead, I decided to run an actual Silent Grouping session. I asked for seven volunteers to pretend to be a Scrum team, and one other volunteer to be a time keeper. When teaching this technique it’s useful to have a backlog of user stories already prepared. Rather than try to come up with a contrived product example, I like to use animals. Most people are familiar with most types of animals, so it makes for a good problem domain. To simulate reality, add in a couple of unfamiliar animals, or some that might appear to be ambiguous. 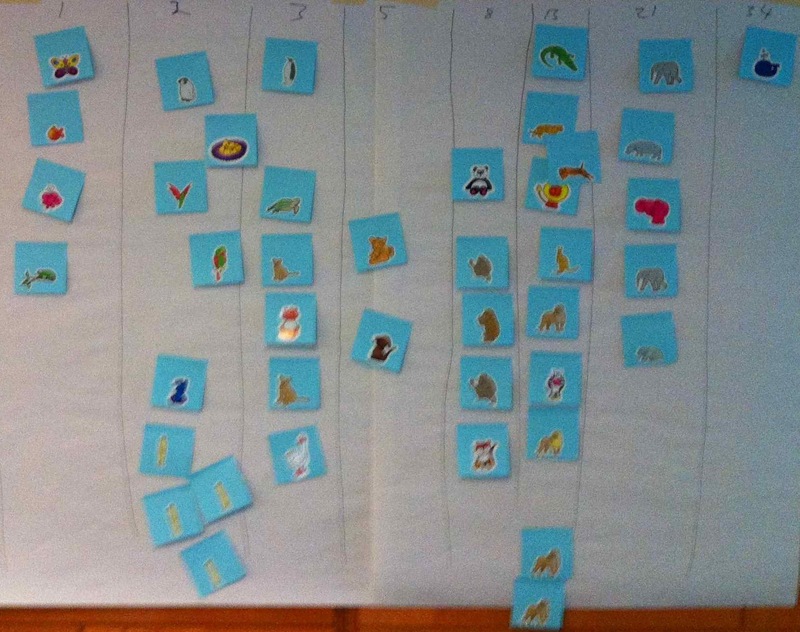 For the XP Conference I used 42 sticky notes with stickers of animals. Some animals were represented more than once. The team sized all 42 user stories in about six minutes. Several people who came to my session at the XP Conference tried it out when they got back to work, including @ruby_gem. My talk at XP2011 was based on a research paper that I submitted to the conference, and was published as part of the conference proceedings. I was delighted to be named in the final four at the conference banquet for the award for Best Research Paper. The paper draws on experiences of seven Scrum teams as examples. The paper shows how to apply the technique with co-located teams, and includes an example of how it was used with distributed teams. The paper is 15 pages long and contains some data, charts and more detail on the technique and its application. The proceedings are available from Springer. I keep records every time I run this, and I also keep records of other ScrumMasters and coaches that use it. I would love to hear how Silent Grouping works out for you. Get in touch and let me know the following. I’ll be happy to credit you in any future papers. Many agile teams are familiar with Definition of Done as a set of agreements that let everyone know when a user story (or a sprint or a release) is really done, and all necessary activities are complete. Definition of Ready is a set of agreements that lets everyone know when something is ready to begin, e.g., when a user story is ready to be taken into a sprint, or when all necessary conditions are right for a team to start a sprint. At some point in time someone will have an idea or concept for a new feature. The concept will be expressed as one or more user stories, and get added to a product backlog. The team, working together, will figure out how to turn this concept, expressed as one or more user stories, into a real product feature that delights end users. That’s the abridged version; all sorts of interesting things happen along the way. Viewed another way, we can consider the level of focus that a user story gets at different times. 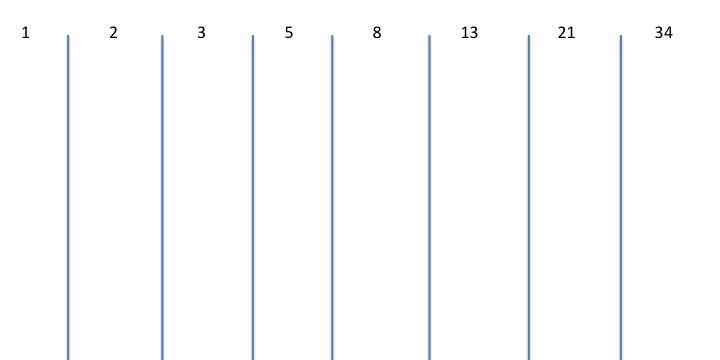 The horizontal axis represents time. The vertical axis examines the level of focus on the user story from the perspective of the Product Owner and the Delivery Team. Of course there are other stakeholders in the user story, but these are the two perspectives I want to consider right now. Let’s assume we’re talking about a typical Scrum team, although the details are similar for any other agile process. At some point before the Sprint starts (represented by Sstart) the Product Owner has a high degree of focus on the user story. They are trying to figure out what the value is for the user, and how to express that as a user story. As we approach the start of the Sprint, the rest of the team increases their focus on the user story. As part of their Backlog Grooming and look-ahead planning activities the team will start to consider the user story’s general feasibility, acceptance criteria, dependencies and related details. The team will size the user story, and maybe even start to think about the tasks. Between Sstart and Send the team works on delivering the user story. The team gets into more detail than the Product Owner during this period, as they figure out the software design, test cases, user experience details, implementation details, and generally work towards getting the user story Done (according to the team’s own Definition of Done) and Accepted by the Product Owner. The Product Owner is involved every step of the way – the intention of the diagram is to convey that the team is bringing a higher degree of focus during this time. After the user story has been accepted the team’s focus changes to the next user story. At some point after the Sprint ends (represented by Send) the team is considering the product as a whole, and preparing to ship it. By this time the user story has been combined with many others to form a complete product. 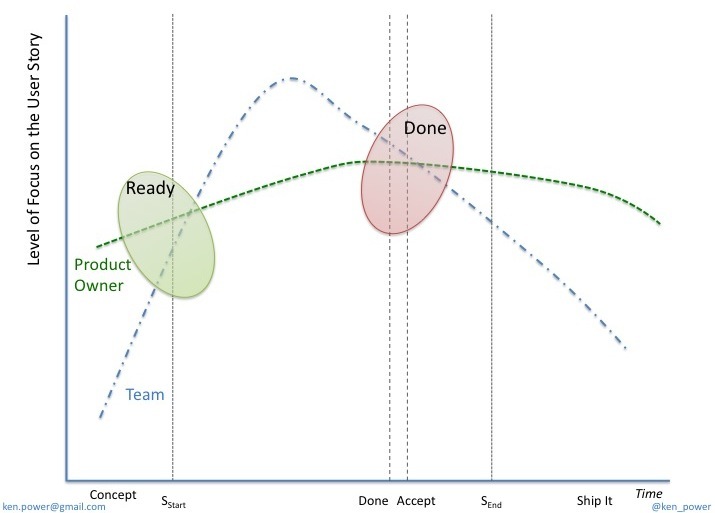 The Product Owner and Delivery Team work at different cadences. They focus on different things at different times. 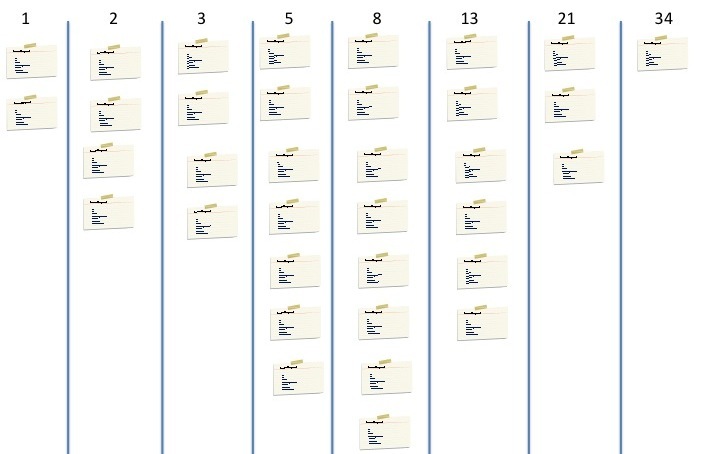 Time-boxed iterations (or Sprints) are one way to synchronize their different areas of focus. Having a Definition of Ready that serves as a set of mutual agreements between Product Owner and the rest of the team brings a focus to upcoming Sprint synchronization points. Why Have a Definition of Ready? A Definition of Ready lets everyone know when a User Story is really ready to be taken into a Sprint. It does not need to be “100% defined” with all acceptance criteria, etc. but it should be “ready enough” so that the team is confident they can successfully deliver the user story. It will save a lot of time if each user story meets Definition of Ready before the Sprint Planning meeting, but it is also OK to work on the user story during the Sprint Planning meeting to bring it to Ready. This section shows a sample Definition of Ready for a user story, and a sample Definition of Ready for a Sprint. I generally use these as baselines or starting points, and work with teams at the start of a project or release to customize the Definition of Ready for their product and environment. Most of these bullet points are targeting specific problems I have encountered on projects over the years. A little preparation can go a long way towards helping the team delivery user stories. When I presented this at XP 2011, one of the participants suggested adding that last bullet point. I like that suggestion. I advocate that teams do not commit to taking a user story into a Sprint unless there is sufficient clarity and evidence of commitment from Product Owners. Remember the “3 Cs” of a user story (Card, Confirmation, Conversation). There’s a balance here, and judgement and common sense need to be applied. We don’t want to replace the Conversation aspect. I am not suggesting to turn user stories into specifications. I am suggesting that Product Owners and teams give themselves a greater chance at successful delivery of user stories by considering some issues ahead of the Sprint. Examples of ‘other work’ might include lab setup, build environment maintenance, creating a test application. Scrum Masters, working with Product Owners and the rest of team, can use this to prepare for upcoming Sprints. Try using Definition of Ready to bring a focus to Backlog Grooming meetings and Look-Ahead planning activities. Product Owners can use it as a guide when preparing user stories for upcoming Sprints. Teams can use it as a checklist to make sure that they have an increased chance of success in delivering the completed user story, and that there is enough thought gone into the user story before they start to deliver it.